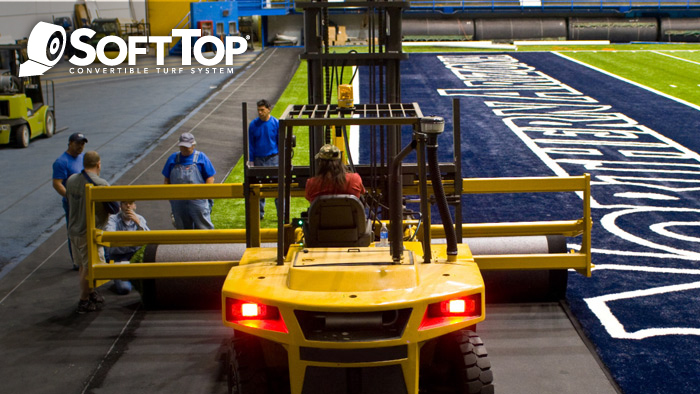 The SoftTop Convertible Turf System being installed at the AT&T Stadium in Arlington, TX, home of the Dallas Cowboys. The SoftTop Convertible Turf System at Northern Arizona University in Flagstaff, AZ. 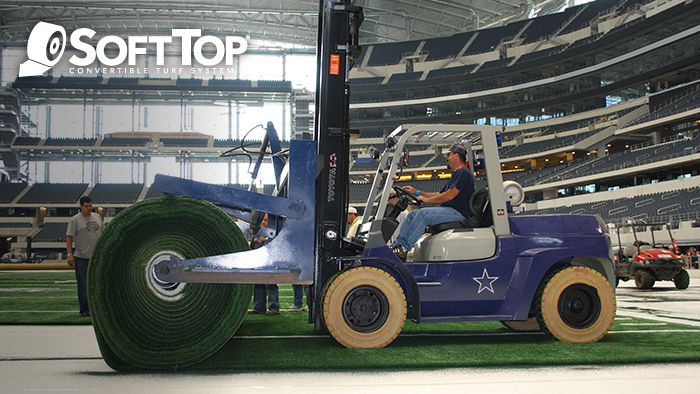 The SoftTop Convertible Turf System being rolled up at the AT&T Stadium in Arlington, TX. 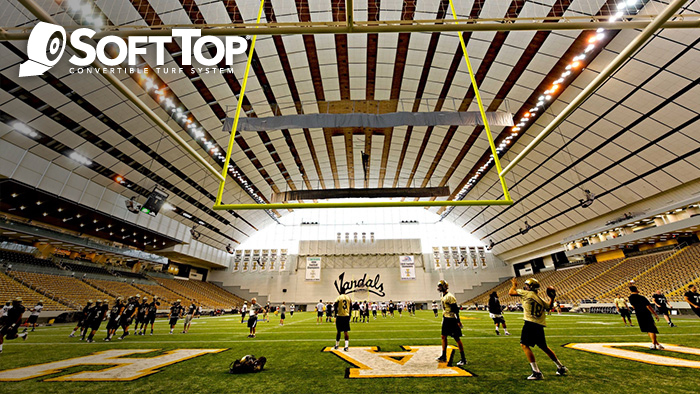 The SoftTop Convertible Turf System at the University of Idaho’s Kibbie Dome in Moscow, ID. 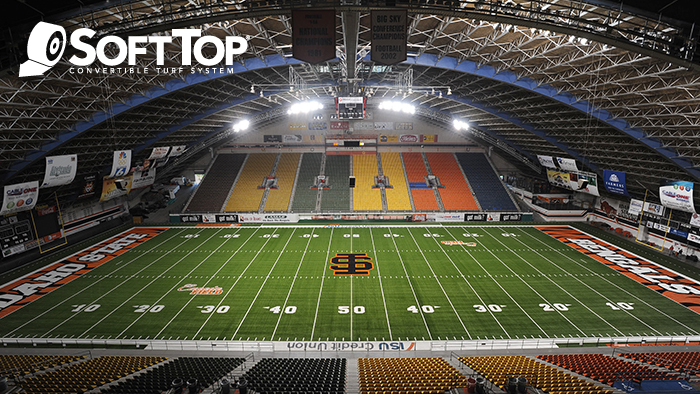 The SoftTop Convertible Turf System at the Idaho State University’s Holt Areana in Pocatello, ID. Hellas’ SoftTop® Convertible Turf System allows for an increased number and variety of events that maximizes revenue and programming potential. In both major stadiums and smaller arenas. Facilities can switch between sporting events, concerts, and even monster truck races with ease. Your synthetic turf field is installed and removed in as little as a 24-hour period. By utilizing interlocking turf, a SoftTop conversion can start as soon as a section is free of people or activity. Installed at the AT&T Stadium, home of the Dallas Cowboys, events such as the annual Cotton Bowl Classic and the 2015 NCAA Playoff Championship Final prove this system is a venue enhancer and profit maker. Install and remove your synthetic turf field within 24 hours. Protect your turf while hosting non sporting events such as concerts, conferences, motor events, circuses, rodeos, or other programming. Easily customize your turf with interchanging panels, logos, etc. Hellas Construction supplies all the tools, equipment, and training necessary for swift SoftTop conversions. 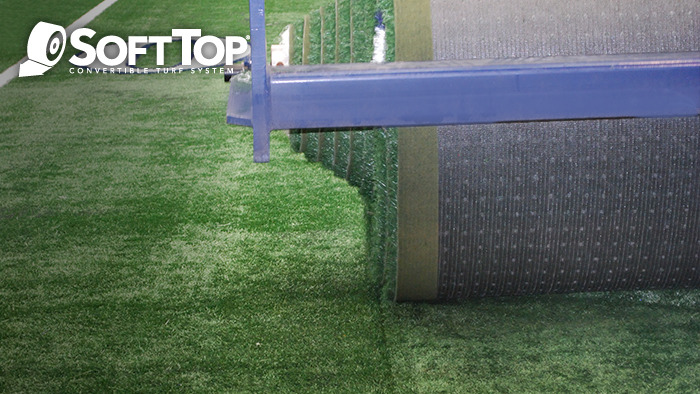 Hellas also offers maintenance and installation services for any facility purchasing a SoftTop Convertible Turf System.